People give to the church for any number of reasons. The essence of our giving is gratitude for what God has given us. An important question to ask ourselves is whether or not our giving is an adequate expression of how grateful we are for the many gifts of God that we enjoy. Another important reason that people give to their church is that we want to be a part of what God is doing through that particular congregation. 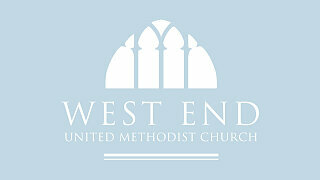 God is clearly moving through the people of West End UMC, and one way to be a part of that divine movement is to give to the church’s ministries. A third reason that many people give is out of an appreciation for those in the past, many of whom have given sacrificially, so that we can have a place to worship and learn about God. We can give to continue that legacy so that future generations will benefit from our generosity. Finally many of us give so that the ministries we believe in and benefit from will continue. For most of us giving is motivated by a combination of these reasons. Whatever our reasons, West End UMC depends on your generous gifts to continue to take part in God’s work in this community and around the world.